The Island Night we attended at the Pacific Resort in Muri Beach, Rarotonga was fantastic. The underlying nature of it was serious, powerful drumming with a complex beat. Added to that was a bit of dancing. 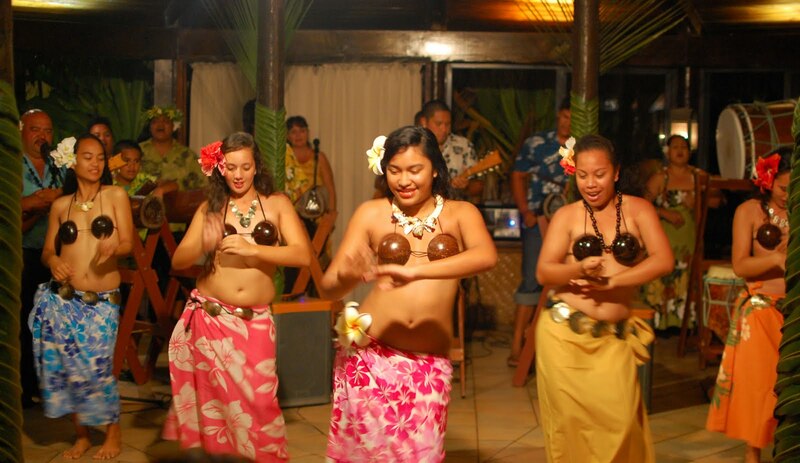 I'm not sure about the authenticity of the coconut bras, but everything else seemed honest. The culture is related to that of the New Zealand Maori, but the dancing was quite different. There was a much more mellow vibe as compared to the haka, and extensive reliance on hip movements. What? You didn't examine the coconut bras for authenticity?